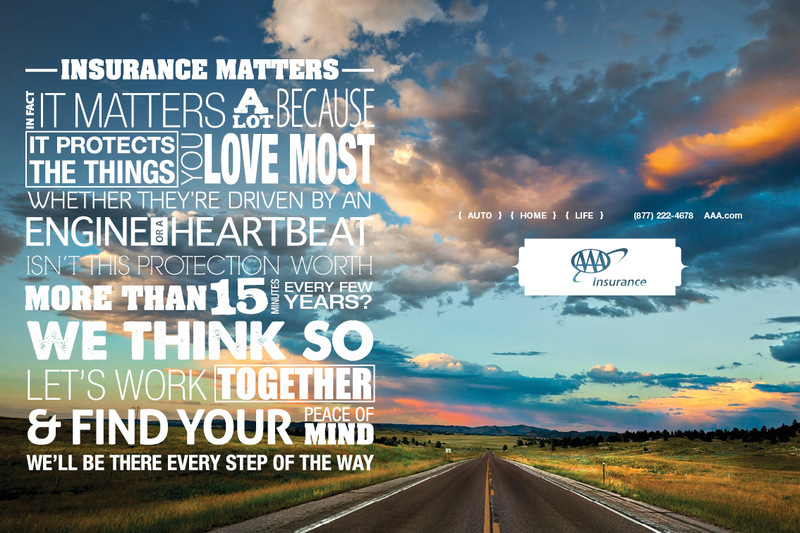 Print ads promoting AAA Insurance. 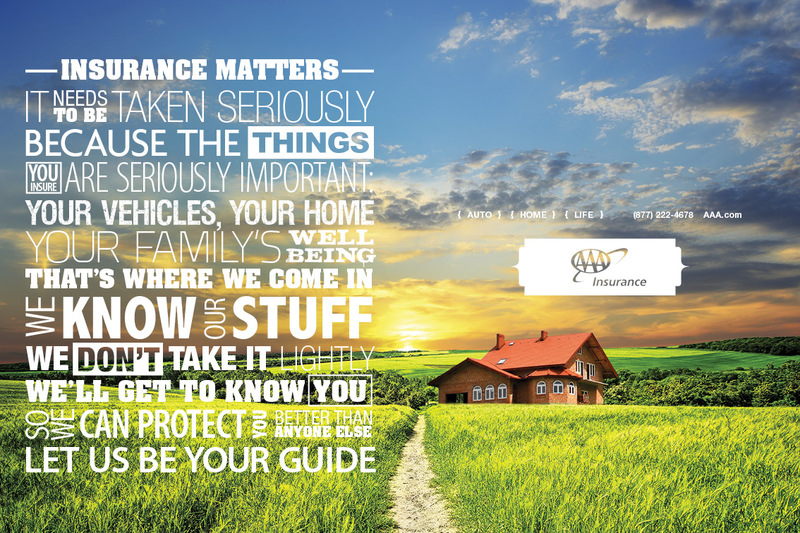 We created the “Insurance Matters” campaign as a way of distancing our insurance agency from the many discount-focused providers in the marketplace. 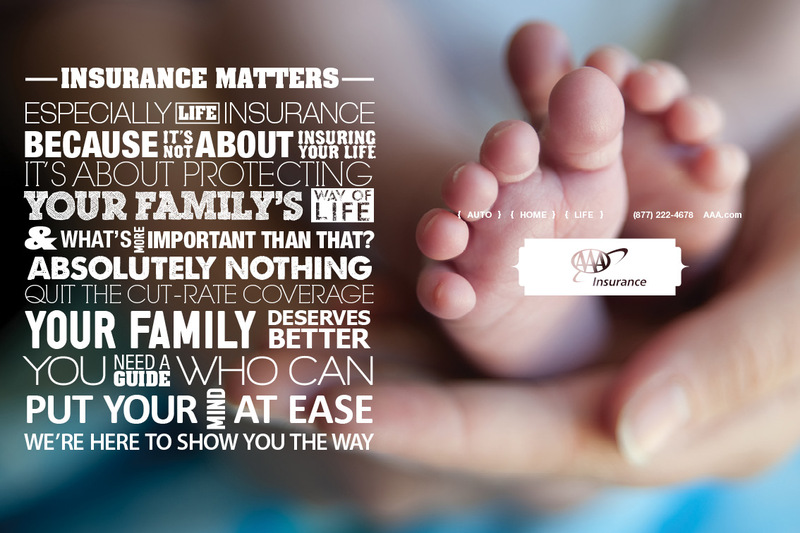 Instead of fighting to be the cheapest, we positioned insurance as important – something to be taken seriously – and portrayed our agents as guides who can help you find the perfect coverage.